Star Wars has many visuals and characters that have become engrained in our pop culture as icons of science fiction. Arguably, one of the most recognizable characters can also be considered one of the most generic, the Imperial Stormtrooper. 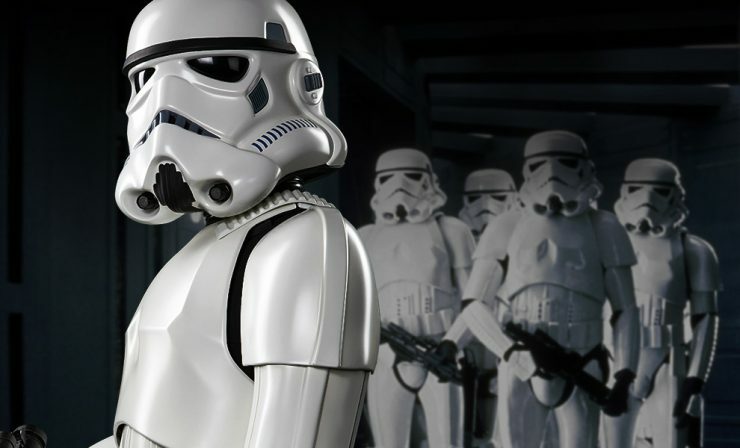 The iconic white armor and helmets have become synonymous with the Star Wars brand, and as such, the soldiers have been in nearly every film, TV show, book, and video game. The Clone Wars started as vague reference from an old Jedi master in Episode IV, and grew into a major event in Star Wars canon, with tales spanning across many films, television shows, and books. A wealth of new characters joined the Star Wars pantheon, and we also saw the start of what would become the most feared fighting force in the galaxy. And it all started with one Jedi Master by the name of Sifo-Dyas. Sifo-Dyas had been gifted by the Force with foresight of the future, but what he saw in his visions terrified him. A great war was coming soon, and the Republic was anything but prepared. He advocated to the Jedi High Council to create an army that would be able to combat any threat that may have been coming. However, the council feared his ideas were much too extreme and rejected the idea. Not willing to take no for an answer, Sifo-Dyas disobeyed the council and contacted the inhabitants of the planet Kamino to commission his army. Kaminoans were already well known for their cloning, and with their help, Sifo-Dyas would be able to create an army of Clone Troopers capable of protecting the Republic from harm. He would never live to see the war though. Ten years before the Clone Troopers’ first battle against the Separatist’s droids on the planet of Geonosis, Sifo-Dyas was murdered on the orders of Count Dooku. The actions of Sifo-Dyas on Kamino caught the attention of Darth Sidious. Seizing the opportunity to have his own army, Sidious used Count Dooku to manipulate Jango Fett into becoming the template for all the clones. Showing he was already planning things ten steps ahead, Sidious had all these clones implanted with an organic microchip pre-programed with Order 66. So when the soldiers were found by Obi-Wan Kenobi, there was already a well-laid trap in place for the execution of the entire Jedi Order. 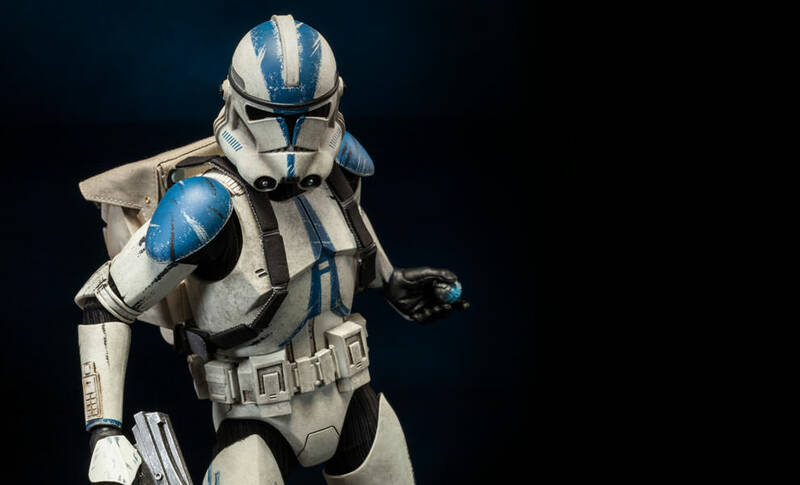 Trained from birth to be soldiers, the clones were also bred to age faster so that they would reach physical maturity within ten years. Jango Fett oversaw much the initial clone’s training personally, and may have even designed the Phase 1 armor. The clones fought bravely for the Republic during the war, and many were fiercely loyal to their Jedi generals. When Order 66 was given by Chancellor Palpatine however, the clones had no choice but to obey and assassinate their superior officers. Being genetic duplicates of Jango Fett, many of the clones searched for an identity that would differentiate them from their brothers. The Kaminoans tried to remove this drive for individuality from their clones, and purposefully only gave them code numbers instead of names to emphasize this. Still, many of the clones managed to overcome this programing, such as Captain Rex (Code: CT-7567) and Commander Wolffe (Code: CC-3636). Additionally, like the Stormtroopers that would follow them, many Clone Troopers received specialized training to utilize different types of weaponry, or unique armor made specifically to traverse different alien worlds and environments. This superior training gave the Clones a reputation as one of the best and most elite fighting forces in any galaxy, and this renown would follow them in the years that followed, long, long after the cloning pods on Kamino were shut down for good. After the Clone Wars and the execution of Order 66, the very first Imperial Stormtroopers were in fact the remaining clones who had survived. They were given a new style of armor (one specifically designed to induce fear) and a new purpose – to enforce the will of the Emperor no matter the cost. However, due to their accelerated aging, the clones very quickly grew older and lost the skills they had in their prime. Additionally, with the death of Jango Fett, it became increasingly difficult to create new clones without the original template. To combat this, the Empire opened new military academies to recruit non-clone volunteers and conscripts from the citizens suppressed under its thumb, using a combination of fear and propaganda to drum up the numbers. While some clones continued to serve the empire proudly, it wasn’t long before the majority of the military was made up of these new enlisted recruits. Basic training for the new Stormtroopers was intense and many of them would go on to be quite skilled warriors. However their training was nowhere near the level of the original clones. Clones literally trained their entire lives to be perfect soldiers, from the day they crawled out of their birthing pods until they were combat ready for battle 10 years later. But what the new Stormtroopers lacked in genetic enhancement and innate skill, they made up for in sheer numbers and loyalty. The Imperial academies used advanced mental conditioning to teach their new recruits that each one of them was completely expendable, to the point where Troopers would ignore their fallen comrades in battle, and keep fighting no matter the odds. This same conditioning also made the Troopers fiercely devoted to the Emperor and the Empire. Like the Clones before them, there was a Stormtrooper to fit every occasion. Got a battle on the icy planet Hoth? No problem, because we have Snow Troopers in special thermal armor. Need troops who know how to navigate the wooded areas of the Endor moon on super-fast speeder bikes? The Scout Troopers got you covered. What about an elite squad of soldiers who can protect a very important imperial officer? Death Troopers are there for that protection, but probably wouldn’t mind a search and destroy mission to go alongside with it. The highest honor for a Stormtrooper with unwavering loyalty and superb fighting skills would be to become one of the red-robed Royal Imperial Guard. These select few were hand chosen by Emperor Palpatine himself to be his elite bodyguards, and were among the most feared of all the Empire’s soldiers. The Emperor is dead. The Galactic Empire has crumbled, and a new Republic is born. Peace and prosperity have come to the galaxy at last. Rising from the shadows, The First Order has taken up the mantle of the fallen Empire, and works to subjugate the galaxy under the rule of Supreme Leader Snoke. Of course, a leader must have an army – and preferably one with striking new white armor. After the destruction of the second Death Star and the death of Emperor Palpatine, what remained of the once strong Empire quickly crumbled. Many imperial officers surrendered to the Rebellion, but others continued to fight for more than a year. Their last stand was at the Battle of Jakku, but this ended in a devastating defeat for the last of the imperial forces. After the battle, the few surviving officers, loyalists, and soldiers fled to the unknown regions of space. There, they licked their wounds and gradually rebuilt a new order using the ideals of the Empire as its basis. In the decades that followed, this new army, dubbed The First Order, grew in strength, and at some point fell under the thumb of Supreme Leader Snoke. With the Empire’s fall, there were no more Stormtrooper training academies. Without access to a reserve of common citizens recruited or forcibly conscripted into a powerful army, The First Order needed a new plan to increase their ranks. They did so by combining two previously successful techniques. Inspired by the Clone Troopers of years past, this new breed of Stormtrooper would be raised from birth to become skilled combatants and the powerful cornerstone of the new militia. And like the Empire’s Stormtroopers, their training included constant indoctrination through propaganda and mental programing to be absolutely loyal to the First Order above all else. Once training was complete and the soldiers reached maturity, they would be led into battle by General Armitage Hux and Captain Phasma with one singular purpose: Destroy the New Republic. In addition to their standard blaster rifle, some troops are given special melee weapons for close-quarters combat. These weapons use special electrical currents that make them capable of going head-to-head with a lightsaber! Plus, just like their counterparts from eras past, certain soldiers are trained in combat for specific harsh planet environments (I.E. snow, desert, etc.) or with non-traditional Stormtrooper weaponry like flamethrowers. So, what do you think? Which era of the Stormtrooper is your favorite? Which is the most formidable?